Whether you’re new to serging or only use your machine to finish edges, this is the class for you! Workbook includes needed fabrics and space to mount your samples. 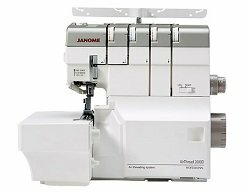 You will leave this class with the skills you need to confidently use your serger for many different projects. Must have taken Serger Basic Usage. Serger must be in good working order. Please make appointment for free evaluation.